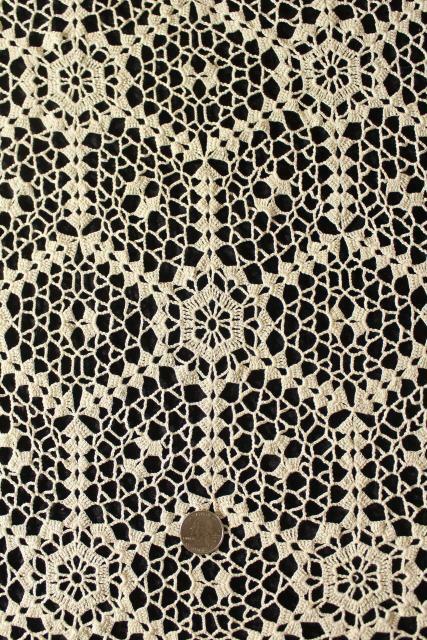 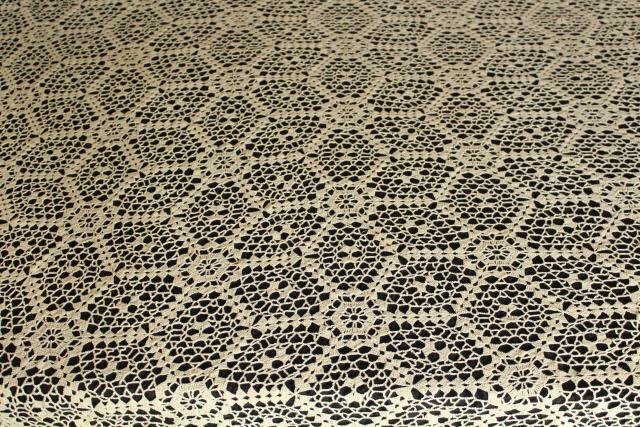 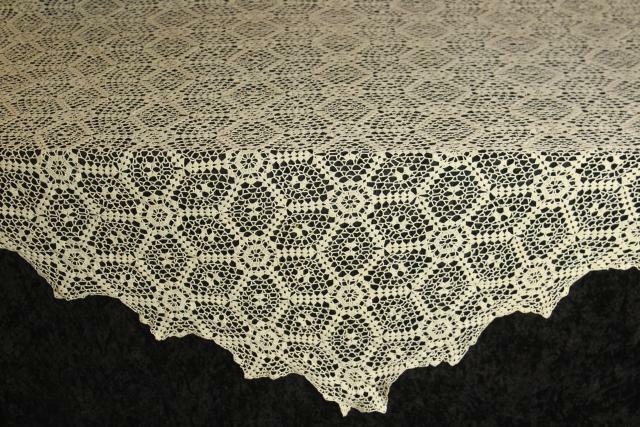 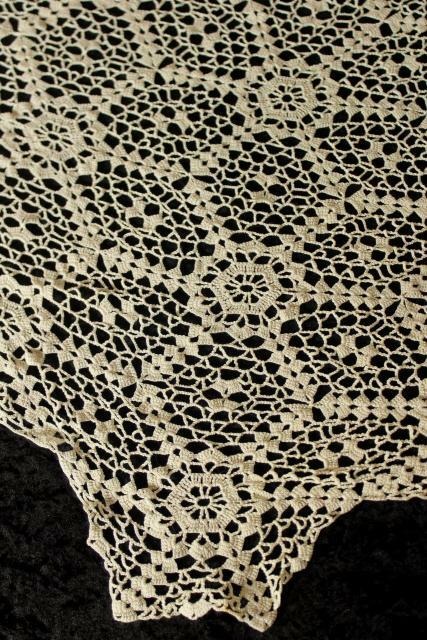 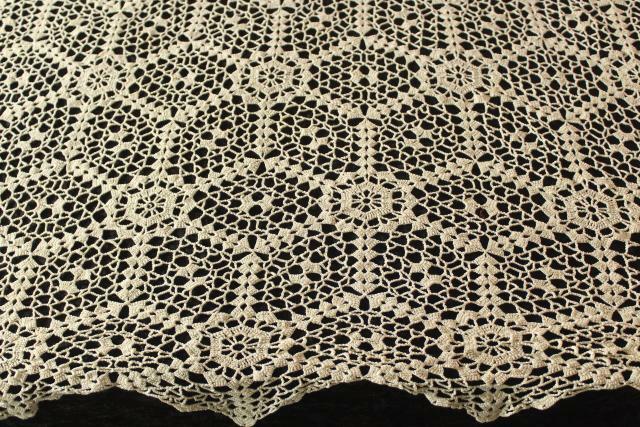 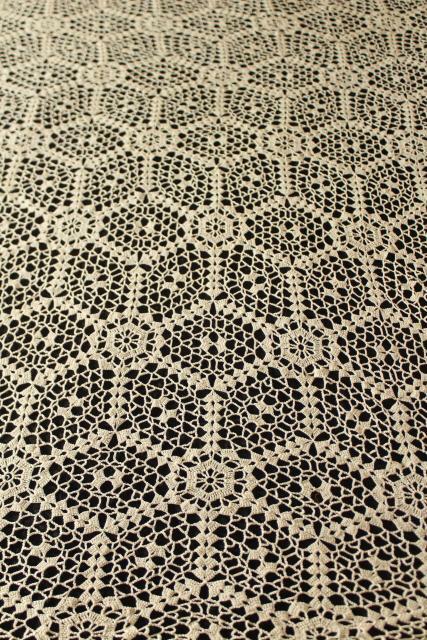 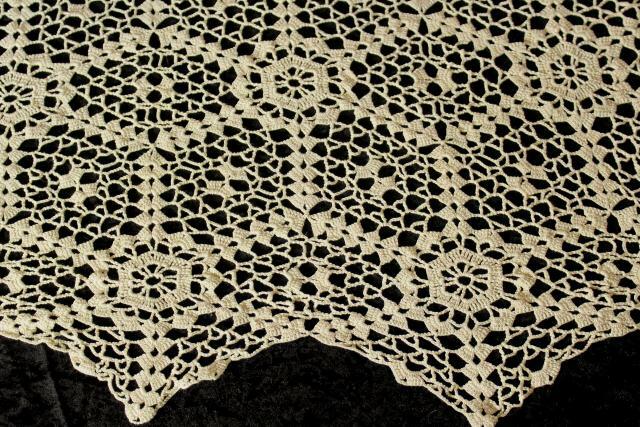 1940s - 50s vintage cotton crochet tablecloth, about 60" in diameter. 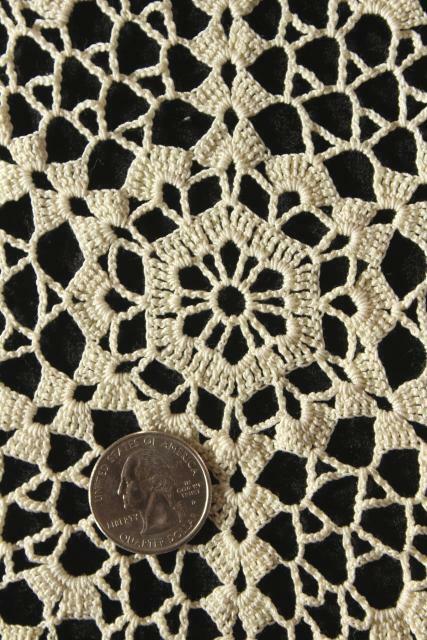 This is a circle of stars, very lacy and pretty. 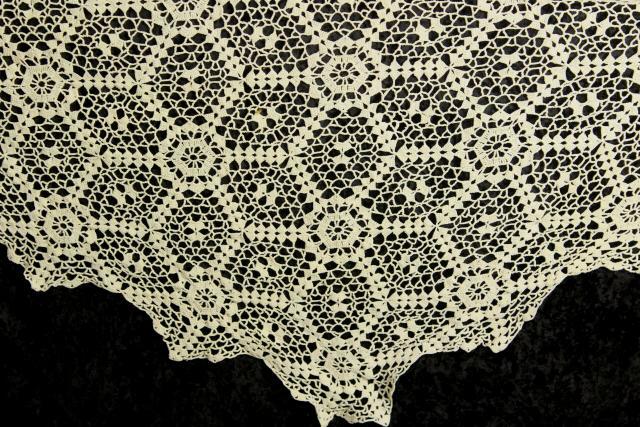 We saw no holes in this one, but it does have a few small spots which we haven't attempted to remove. 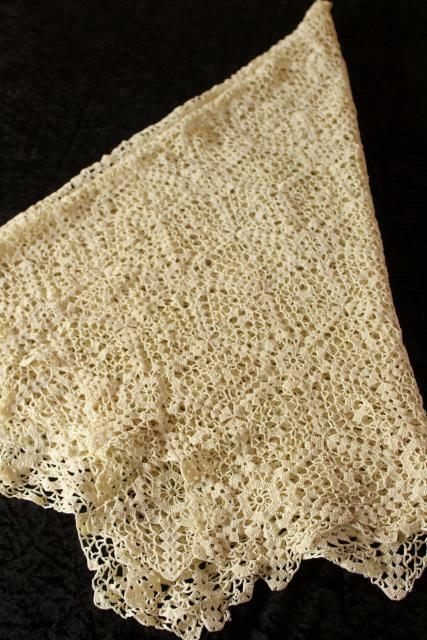 We haven't washed or soaked it!